Jordan began participating in MMI’s Employment Connections program in 2011. He is very conscientious and detail oriented and does a great job when working on manufacturing jobs such as retaining wires and heat sealing packages. In the Learning Center, Jordan is thoughtful and insightful when joining in on group discussions and vocational trainings. 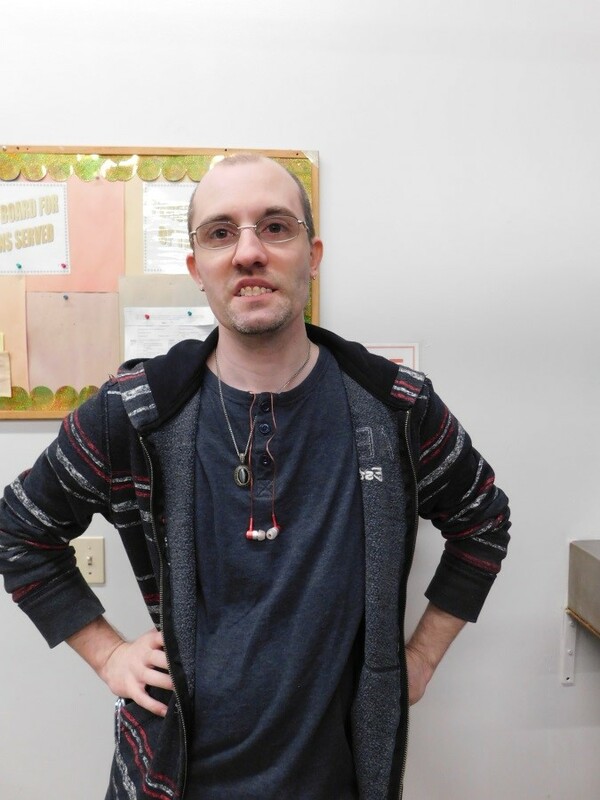 He recently joined the Community Connections program’s bowling group where his fellow bowlers state that he is a great bowler and friend. No matter where he goes, Jordan is known for his good natured personality and great sense of humor. Thank you Jordan for a job well done. Keep up the good work and congratulations on being MMI’s Person Served of the month for April 2019! Sean is Clare MMI’s person served of the month for April. 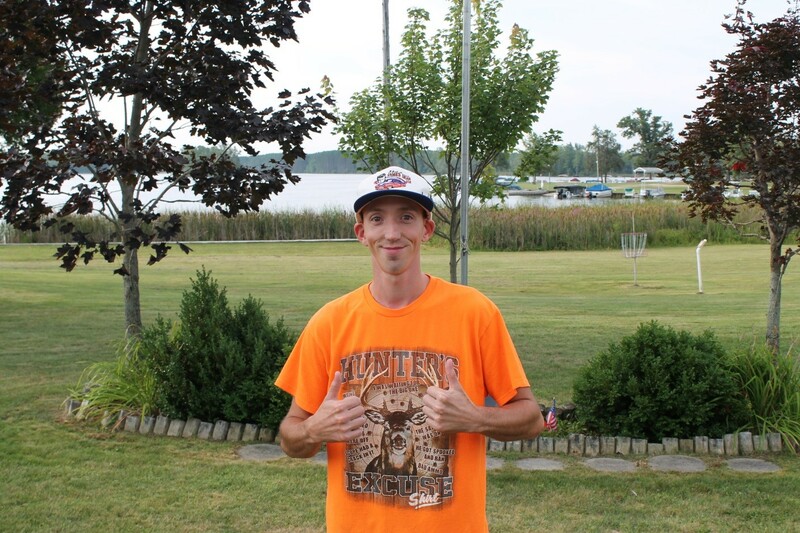 Sean began attending MMI in 2012 during the summer, then year round in 2015 after finishing school at the Clare/Gladwin Area School. He currently participates in Employment Connections, Community Connections, and is part of a crew that does grounds clean-up at Jay’s Sporting Goods, then picks up recycling from a few businesses and takes it to the MRF in Mt Pleasant. During his CC time Sean participates in a games group, plays basketball/kickball at a local church gym, and has lunch with a group that then goes bowling. He is usually very helpful with his groups and is very friendly and outgoing. Recently, Sean has been asked to take on more responsibility and independence throughout his day at MMI and he has done very well with this. 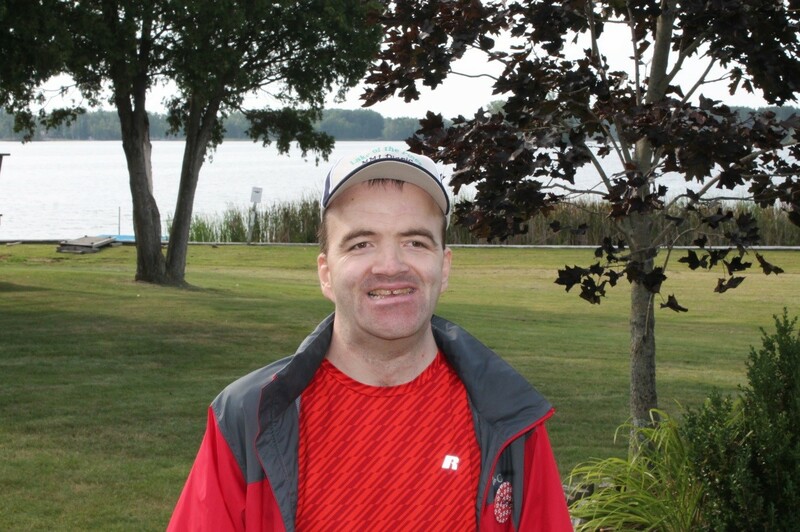 Clare Consumer Council is proud of Sean’s accomplishments and happy to name him Clare’s Person Served of the Month. Mike has worked at MMI for several years doing janitorial work. He is excellent at his job, always polite to everyone, and has had great attendance. Mike is very detail orientated in his work, constantly striving to improve his job performance, and always looking to make sure everyone is doing a great job. He performs all tasks asked of him and when done will seek out other tasks or assist his co-workers as needed. Mike has also been one of MMI’s better crew people when it comes time to do floor work and is always someone to rely on. Congratulations Mike on being nominated as person served of the month for March 2019. 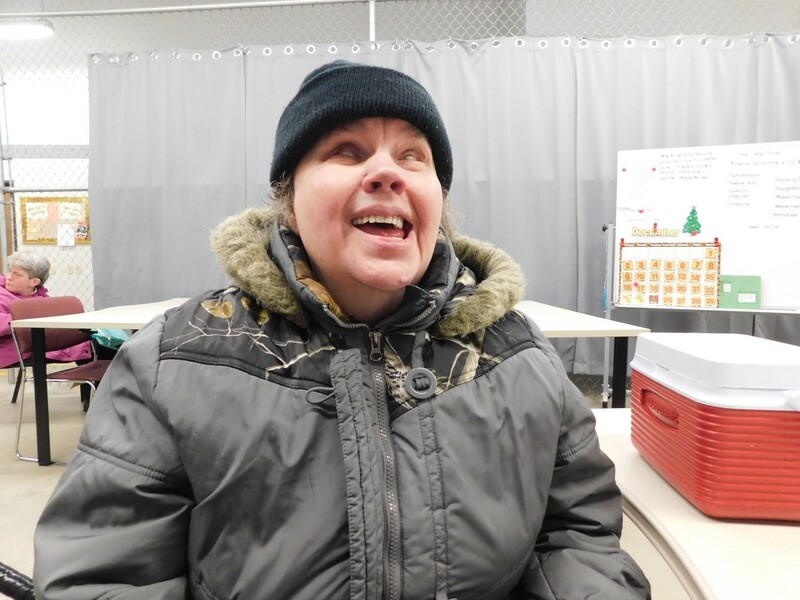 Teresa has been attending MMI since March of 2015 and participates in Community Connections three days a week. Teresa is very outgoing and friendly and has a great sense of humor. She enjoys the groups she participates in, especially when she has the opportunity to have conversations with others or play games. Teresa is accepting of everyone at MMI and will talk to anyone who will talk to her. Clare MMI is proud to name Teresa as Person Served of the Month for March, 2019. Thank you, Teresa, for your hard work and friendliness! Blakely has worked with MMI in Community Employment for over 10 years. She is an excellent worker, always on time, and takes very little time off from her work. Blakely has worked on most of MMI’s night crews over the years and is very proficient in everything she works on at MMI. Her job coaches have always had good things to say about her and really appreciate all the good work she does. Blakely is now currently seeking an independent job in the community and will do equally as well in this endeavor. Congratulations, Blakely on being our Person Served of the month for February 2019. Wayne Hochstetler has been attending MMI since March of 2014. He began in both Employment Connections and Community Connections (CC), but has since transitioned to CC activities only. 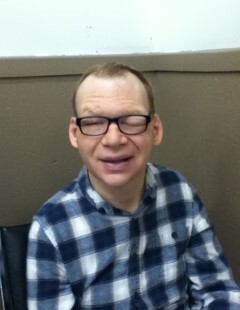 Wayne always has a smile on his face, a friendly “Hiya!” (hi there) for every person he sees. He is very social and enjoys the time he spends in the community with his friends from MMI. Wayne practices sign language and has some signs he uses regularly to communicate with staff, including “happy”, “time”, and “horse”. He is often very playful and enjoys playing catch or rolling a ball back and forth, and his parents say that he loves to watch others play sports. Clare MMI is proud to name Wayne as Person Served of the Month for February, 2019. Thank you, Wayne, for sharing your joy with everyone! Philip has been working at MMI since 1995 on various litter crews. Philip has excellent attendance, and a strong work ethic. Philip is “friendly” and “easy to get along with”. He takes pride in his appearance and keeps his work space neat and clean. Philip likes collecting key chains, working on his puzzle books, and going out to eat. Congratulations Philip, for being selected Person served of the month for January 2019. Jonathon Sawyer is Clare MMI’s person served of the month for January 2019. Jonathon began attending MMI, in December of 2016, after his family moved to the area. Jonathon participates in a combination of Employment Connections and Community Connections activities throughout the week. Jonathon also holds a permanent spot on the night crew one night each week and is willing to sub on occasion when needed. Jonathon is very friendly and likes to be helpful whenever he can. He will often assist others in the Fishing group with baiting their hooks, taking fish off, and with carrying and packing needed equipment. He has been very understanding about the changes happening at MMI and eagerly participates in Learning Center activities and setting a great example for others in his group. Jonathon willingly does whatever is asked of him by his job coach and other staff and is really a pleasure to be around. Congratulations, Jonathon, on being Clare MMI’s Person Served of the Month for January 2019. Thank you for all your hard work and dedication! Dorothy began working with MMI over 30 years ago. For over 10 years, Dorothy has been working independently at Mid-Michigan Development Company. 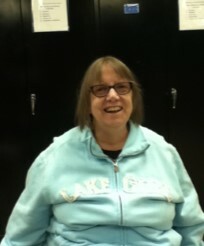 She also works on the Sacred Heart Janitorial crew cleaning the school. Over the previous 30 years, Dorothy has worked on several Community Employment Crews at MMI. Dorothy would like to get another independent job, in addition to what she is currently doing. Congratulations, Dorothy, for being the Person Served of the month for December 2018! Carol D is the MMI Clare branch Person Served of the Month. 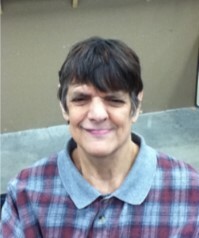 Carol has been part of MMI since 1987 when she entered services in Transitional Employment. Over the next 31 years Carol participated in Transitional Employment, Community Connections, and Community Employment. At one time she decorated picture frames and successfully sold them. Carol is blind, but she doesn’t let that slow her down. She does everything as independently as she can, yet gracefully accepts help when she needs to. She is friendly, greeting by name those whose voices she recognizes and asking the name of those she doesn’t know. Carol has a beautiful singing voice which she will share whenever the opportunity presents itself. She is a pleasure to be around, and Clare Consumer Council is proud to name Carol as Person Served of the Month for December 2018! Susan began participating at MMI in 2010. 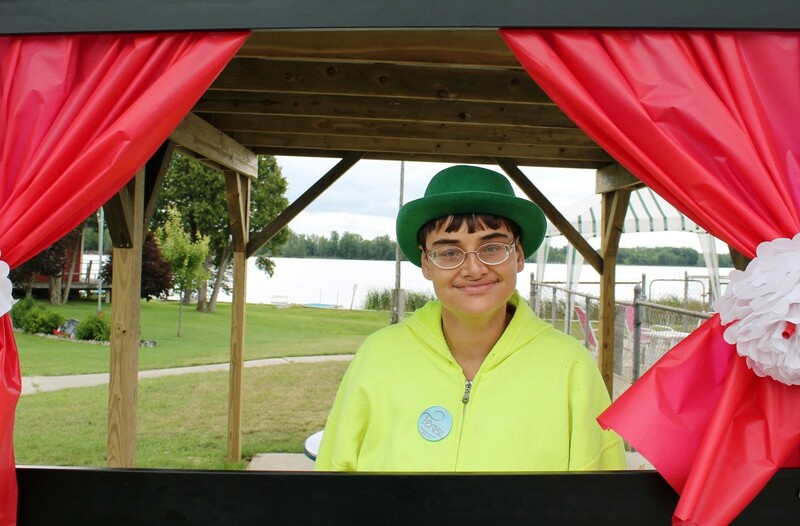 She is currently scheduled two days per week in the Employment Connections program where she is a very hard worker and always tries to do her best when working on production. Susan loves being around people, joking, and having fun. She seems to always have a great time in her Community Connections groups which include art, shopping, cooking, musi,c and volunteer activities. Susan is a member of the Isabella Consumer Council Committee. In her free time, Susan enjoys doing puzzles, shopping, and cleaning her room. Thank you, Susan, for a job well done. Keep up the good work and congratulations on being MMI’s Person Served of the month for November 2018! 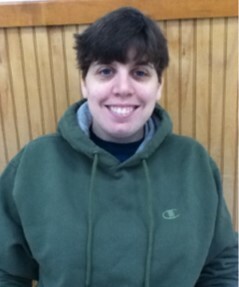 Jamie started attending MMI in Transitional Employment/Employment Connections in May of 2003 in Mt Pleasant. He transferred to Clare MMI in June 2017 when he moved from his mom’s home to an AFC home in Farwell. Jamie attends MMI five days a week and participates in a combination of Employment Connections and Community Connections activities. 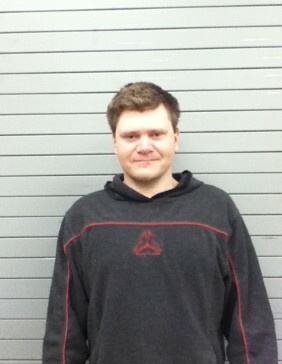 Though he is quiet most of the time, Jamie is very friendly and always has a positive attitude. He willingly works on any job or task he is given by his job coaches, and he actively participates in all his CC activities. He particularly enjoys Friday afternoons when his group goes out to lunch and then bowling. Clare Consumer Council is proud to name Jamie as MMI’s Person Served of the Month for November. Thank you for all your hard work and dedication, Jamie! Gary T. has worked with MMI for over 20 years and has pursued independent jobs in the community during that time. Gary’s most recent independent job was working with Goodwill, cleaning and stocking the shelves. When this job was completed, he resumed working on day crews and production crews, and participating in various community activities. Gary enjoys working on the CMU litter crew and is always willing to pick up extra jobs. He also likes doing production work and being in the learning center. Gary enjoys bowling and shopping with his community connections group. One of his hobbies is fishing, which is what he enjoys doing in his free time. Congratulation Gary, for being October’s MMI person served of the month.! MJ started attending MMI in Employment Connections in 2014 after moving to the area from Wisconsin. 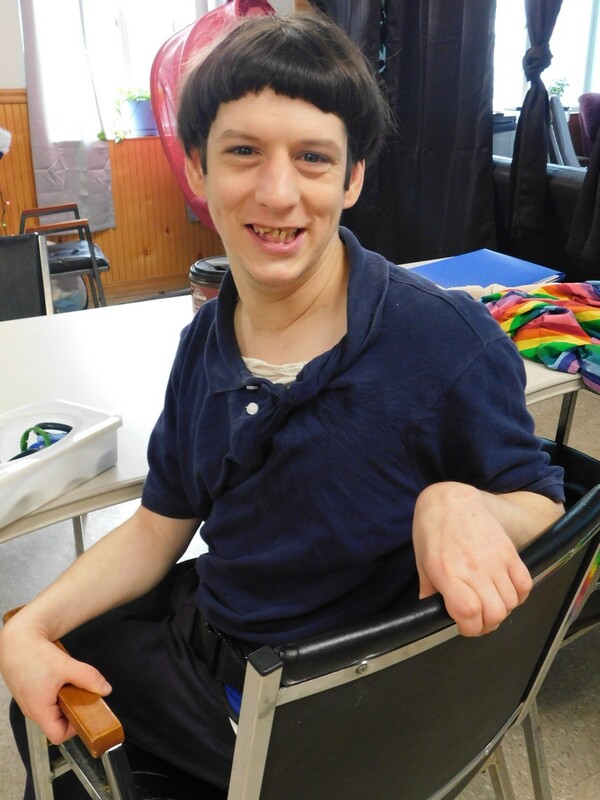 He attends MMI two days a week for a combination of Employment Connections and Community Connections activities. He also attends one day per week as part of a crew that goes to Jay’s Sporting Goods to clean up their grounds and then goes to pick up recycling. MJ was also a long-time member of the mini crew, helping to clean the Clare building after persons served had left for the day. Though the mini crew isn’t an option anymore, MJ has waited patiently for an opportunity to be on another crew. Recently, he was placed in a permanent spot on one of the night crews in Clare. He is a hard worker with a positive attitude and will accept any tasks given to him by his job coach. MJ is also a sports fanatic, having a particular love of all Detroit sports teams and U of M. MJ likes to talk about the teams and how they are doing. Clare Consumer Council is proud to choose MJ as MMI’s Person Served of the Month for October. Thank you for all your hard work and dedication, MJ!